What’s in a name anyways? 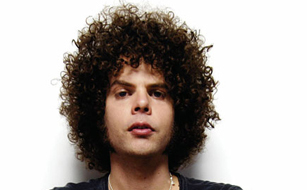 For Wolfmother, it’s Andrew Stockdale. And for the Australian hard-rock ensemble, it’s Stockdale — not his bandmates — that ensures the band’s blazing, arena-ready riffs. In fact, his boastful warble is so intrinsically Wolfmother that when two-thirds of the band quit last November, it wasn’t the least bit odd for the singer to carry on without them. Citing “irreconcilable personal and musical differences,” co-founding members Chris Ross and Myles Heskett left the band a year after Wolfmother won a Grammy for their 2005 self-tiled debut. Now a foursome, Stockdale and his cast of replacement characters have pieced together another batch of his screeching anthems on this year’s Cosmic Egg. Almost four years since the debut heard round the world, the sophomore release finds Stockdale amidst a calculated effort to out-hit, out-yelp, and out-do his first lineup’s sonic assault with all the subtlety of a wolf in heat.